This guide was written as a quickstart guide for the RGB Swarm Robot Project Documentation, but contains general information about programming e-pucks and using the vision system. Follow the instructions here RGB Swarm Robot Project Documentation: Software to download the epucks code. Then build this code using MPLab and the instructions below. Once the computer finds your e-puck, select the appropriate e-puck (should be ID'd by the 4 digit ID number), and assign the 4 digit ID number as the 'passkey' for that e-puck (note that epuck #2 (bluetooth 1326) is faulty. Enter 0000 for the pairing code to use this e-puck. Programming the e-puck requires a specific program, called a bootloader, in order to (re)program the microcontroller. 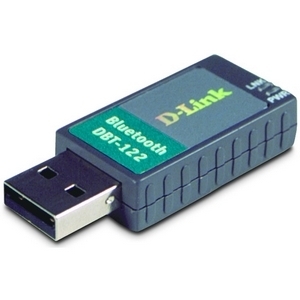 The bootloader makes use of the bluetooth/serial port connection, allowing for wireless programming, as opposed to connecting a specific serial port connector directly to the microcontroller. This expedites the reprogramming process. The bootloader is comprised of two parts, one which operates on the e-puck, writing code to the e-puck microcontroller, and the other, which operates on the computer as user interface. On the e-puck side, the bootloader quickly checks to see if something is trying to re-program the PIC. If so, the bootloader will simply write the new software over the old, and then run the new software. If not, the bootloader simply allows the PIC to run the program currently loaded. The computer side allows a user to select which COM port to program over (allowing one to select which e-puck to program), and selecting what HEX file to program to the e-puck. Note: The reset button must be clicked before the blue status bar on the Tiny Bootloader dialog screen reaches zero, representing the program timing out. If Tiny Bootloader cannot connect to the COM port, make sure your e-puck is on, and that you've selected the correct COM port assigned to the e-puck (the ID of the e-puck is on a sticker on top of the bluetooth chip on the e-puck's PCB. If Tiny Bootloader can connect to the e-puck but cannot find the PIC, it may be that someone has overwritten the bootloader with another program. If this is the case, you will need to reload the bootloader. Navigate to e-puck-lib\tool\bootloader\epuck_side, look for tinybld_ds6014A_7.37Mhz_115200uart1_8xPLL_with_LEDs.hex hex file. These steps are for programming the Xbee Radio, whether for the e-puck or the data logging or vision computers. Certain steps may be skipped however for each kind of radio. Note: If there is difficulty connecting, or the XBee radio cannot be found, it may be necessary to try every frequency listed. X-CTU does not automatically detect what the Baud on the radio is, and while the radios currently used are all set to have a Baud of 115200, they may be reset, and it will be necessary to manually test each Baud freqency via X-CTU. Type '+++', and press <enter>. this signals to the XBee radio that you wish to program it. Type 'atre'. This command resets the settings of the XBee radio. Type 'atmy', followed with the ID number, e.g. your command would be 'atmy 3'. This command sets the XBee radio ID. Note, that e-puck ID's are from 1-31, whereas all the computer radios have an ID of 0. Note: SKIP THIS STEP if you are programming a computer Xbee radio, such as for the vision system or data logger. Type 'atwr'. This writes the settings to non-volatile memory, saving it even when the radio is powered on/off. XBee radios can only be used by one program at a time, and if an XBee radio is being called by two different programs, this may lead to problems. This is due to the fact that each XBee radio is connected to one 'virtual' COM port, and said COM port can be used by only one program at a time. Check the serial port adapter boards: towards the back of the board near where the plug is, there are two columns of three (3) LED lights. The left most column of lights should be blinking. The yellow light signifies that a packet is has been received, and a green light signifies that a packet is being sent. Download the files here. Open the solution in the main folder SwarmSystem in Visual studio 2010. Make sure the COM port in UserInterface.h is up to date and hit run. puckUI.m - This is the m-file which is used to look at the data the epucks are sending back. The color sensor data from the selected epuck is shown on the left and the positions of each epuck is shown on the right. On the bottom is a table of all the data sent from the epucks. There is also a toggle to display the coordinates with respect to the center of the epuck or with respect to the color sensor on each eapuck. Note: In order to access the log of data which has been received by the epucks, simply call global data_log. Currently the data_log variable holds the last 100 packets of data received by each epuck. To change this, simply change the RECDUR variable in the puckUI_OpeningFcn. Also, currently the timer periods of .4 seconds for plot updates and .05 seconds to receive data work efficiently and do not take up too much CPU, but these values can be changed in puckUI_OpeningFcn as well. serialdllsample.m - In this file are all of the matlab functions needed in order to open the port, send commands, etc. from matlab using the dll in SerialCommands. ProjectorLight.m - When this file is run, it will generate a matrix of 81 incident angles of light from the projector across the surface of the floor. This file is useful for determining the calibration of location and intensity of light picked up by the color sensor.